Members of Aboriginal and Torres Strait Islander communities are advised that this site contains names, images of deceased people. 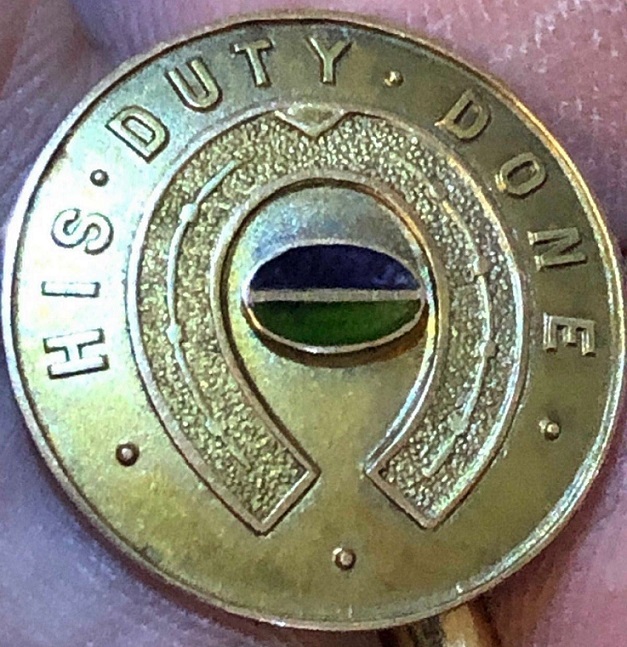 Private: 4762 Henry COOLEY. 36th Battalion AIF. Ulladulla, N.S.W. Private: 7242 Joseph GOTCH. 33rd Battalion AIF. Cootamundra, N.S.W. Private: 3074 Allen James JENKINS. 35th Battalion AIF. Singleton, N.S.W. 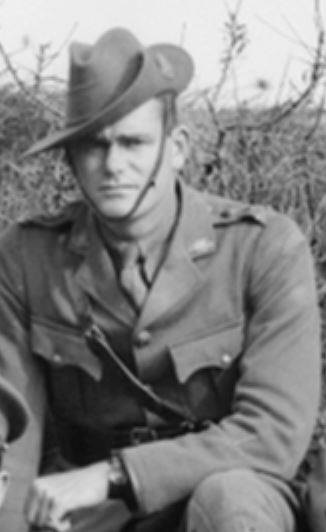 Private: Alister LESTER/LEYCESTER. 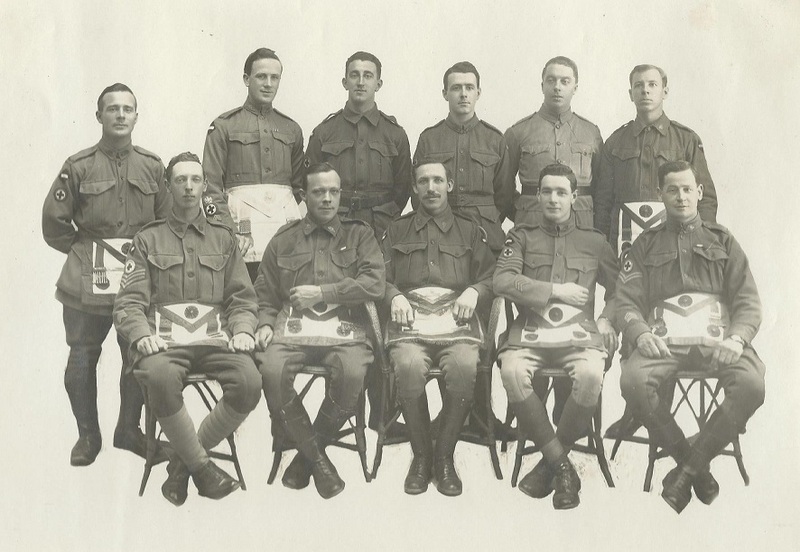 36th Depot Battalion AIF. Singleton, N.S.W. Wonnaruah Discharged Medically Unfit. 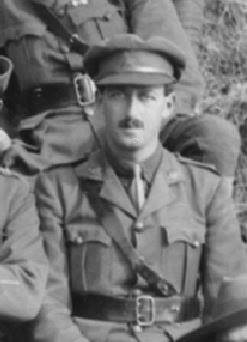 Private: 2356 Ernest Augustus LESTER/LEYCESTER. 36th Depot Battalion AIF. Singleton, N.S.W. Wonnaruah Discharged Medically Unfit. Private: 1628 John Duncan MATHERSON. Private: 941 William RHODES. 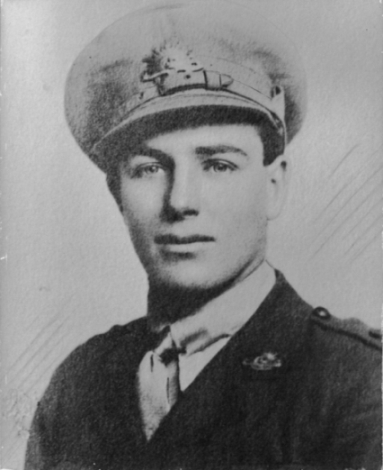 33rd Battalion AIF. Died of Wounds. (Accidental) Grafton, N.S.W. Private: 6400 Thomas James WALKER. 35th Battalion AIF. Killed in Action. Sydney, N.S.W. 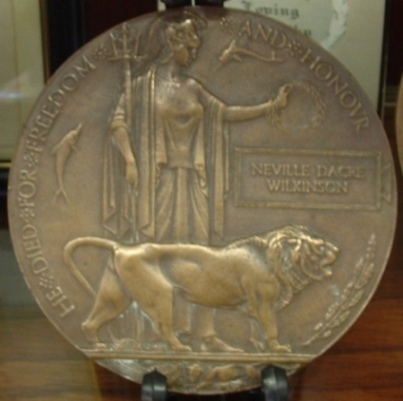 Private: 2923 Andrew WILKIE. 34th Battalion AIF. Wards River, N.S.W. Private: 1271 Thomas WILLIAMS. 33rd Battalion AIF. Labourer, Coonabarabran, N.S.W. He came and joined the colours, when the War God's anvil rang, He took up modern weapons to replace his boomerang, He waited for no call-up, he didn't need a push, He came in from the stations, and the townships of the bush. He helped when help was wanting, just because he wasn't deaf; He is right amongst the columns of the fighting A.I.F. He is always there when wanted, with his Owen gun or Bren, He is in the forward area, the place where men are men. He proved he's still a warrior, in action not afraid, He faced the blasting red hot fire from mortar and grenade; He didn't mind when food was low, or we were getting thin, He didn't growl or worry then, he'd cheer us with his grin. He'd heard us talk democracy--, They preach it to his face-- Yet knows that in our Federal House there's no one of his race. He feels we push his kinsmen out, where cities do not reach, And Parliament has yet to hear the Abo's maiden speech. One day he'll leave the Army, then join the League he shall, And he hope's we'll give a better deal to the Aboriginal. (By Sapper Bert Beros, a non-Aboriginal soldier in World War Two. 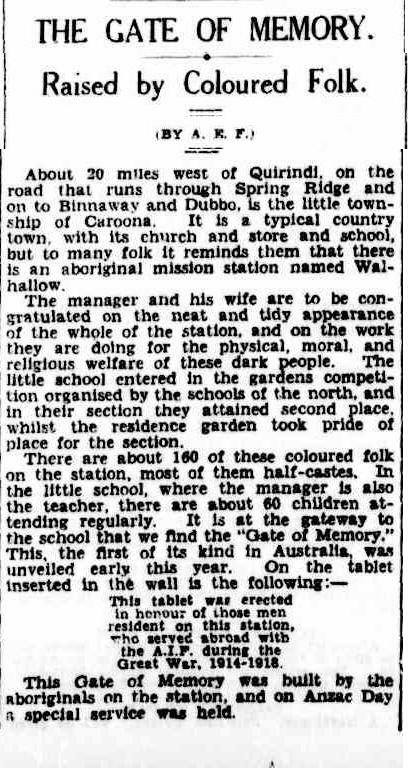 Written about an Aboriginal soldier, Private West). 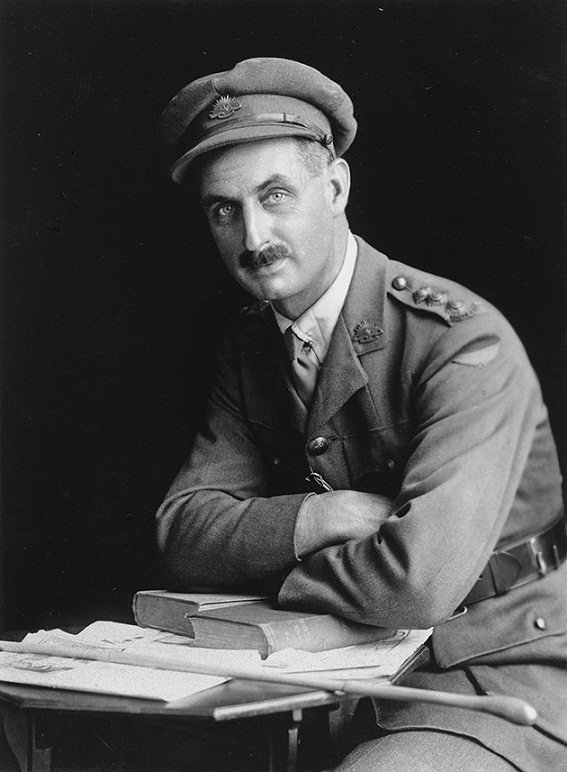 At the time of the World War I, British-Australians still believed themselves to be superior to the Indigenous people of Australia. 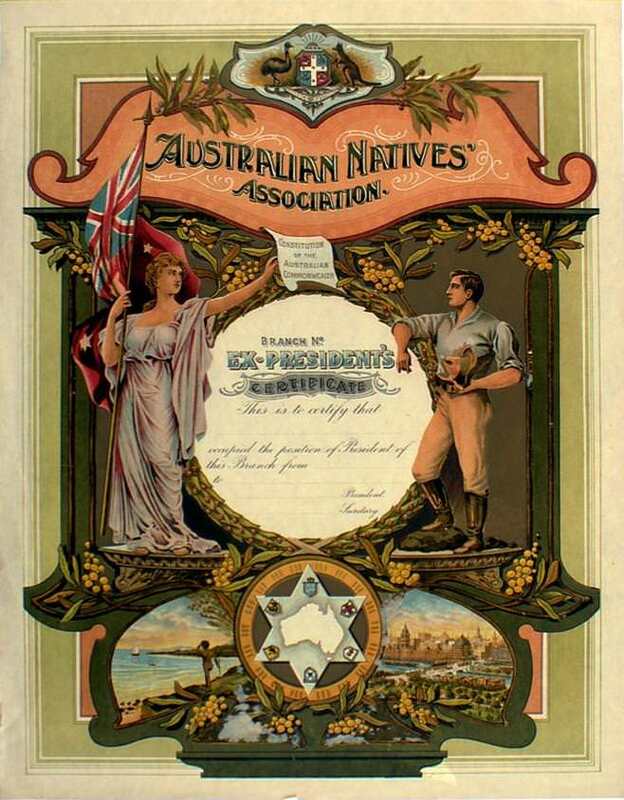 This was reflected when the Constitution of Australia was established only 13 years earlier, in 1901. The Constitution excluded Aboriginal people by not regarding them as Australian citizens. In addition, not all Aboriginal people were given the right to vote at federal elections, with those in Queensland and Western Australia being denied at a state level. 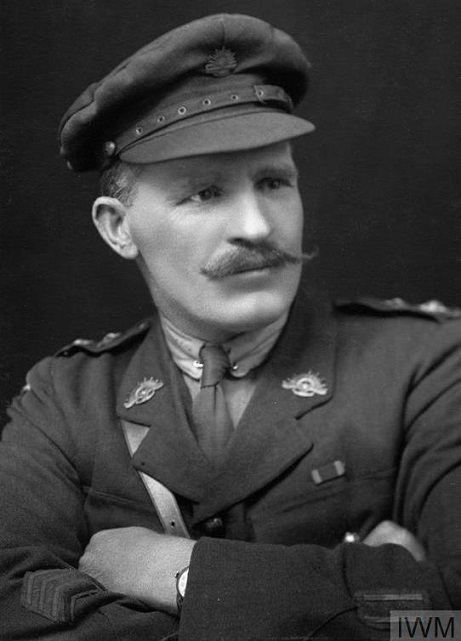 In 1909, the Defence Act 1909 (Cth) prevented those who were not of 'substantially European descent' from being able to enlist in any of the armed forces. 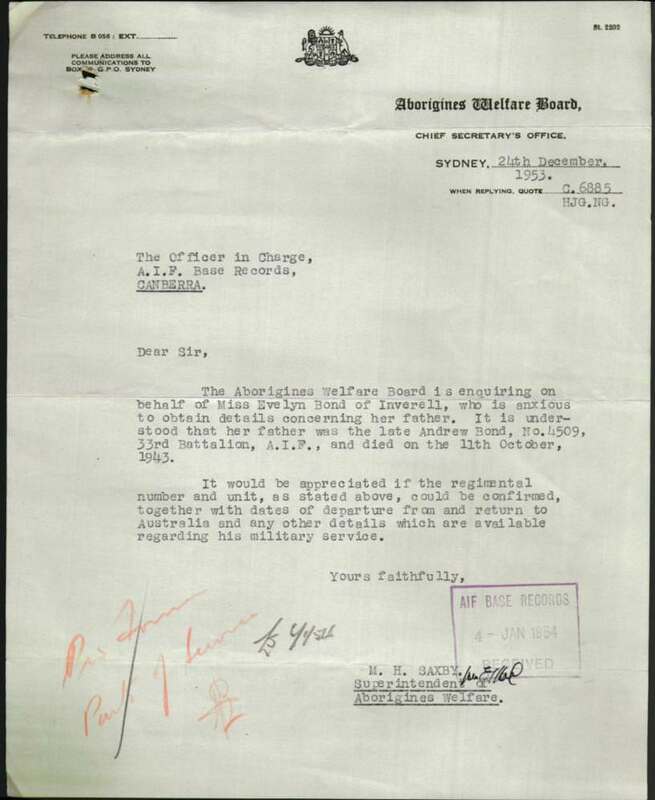 Despite the legislation restricting them from enlisting, or their long history of being persecuted by the British, many Aboriginal people still wanted to support Australia by being involved in the war. 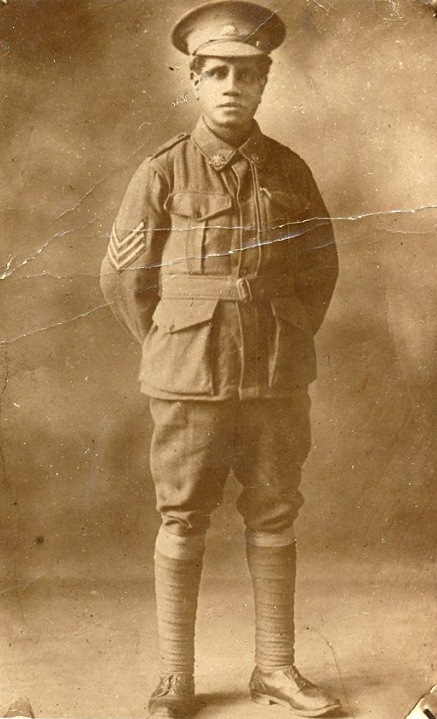 Around 300 to 400 Indigenous Australians from every State were said to have enlisted and fought in World War I for Australia and the British Empire. 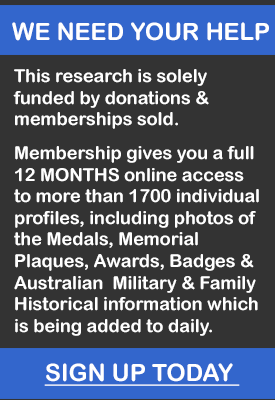 Although this may not seem to be a large contribution on behalf of the Aboriginal population, when 416 809 Australians in total enlisted for service in World War I, Australia's Aboriginal population was estimated to be only 80,000. It could be assumed that most of the Aboriginal people wanted to be involved in the war for the same kinds of reasons that the British-Australians did. They were swept up in the excitement of war and the belief that it would be their chance to see the world and to get paid for it. Although many disliked the British because of their violent history, many Aboriginal people felt strongly patriotic and loyal to Australia believing that it was their nation also. 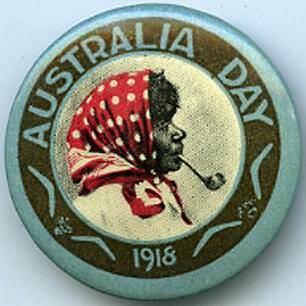 During the war, amongst those who were serving Australia and the Empire, the division of colour which sharply divided the British-Australians and the Aboriginal people in their civilian lives became non-existent. No longer were negative stereotypes attributed to the Indigenous Australians, the Young Australian men simply saw them as being no different from themselves and treated them accordingly. The lived, fought and died beside each other, never once thinking one was superior to another. 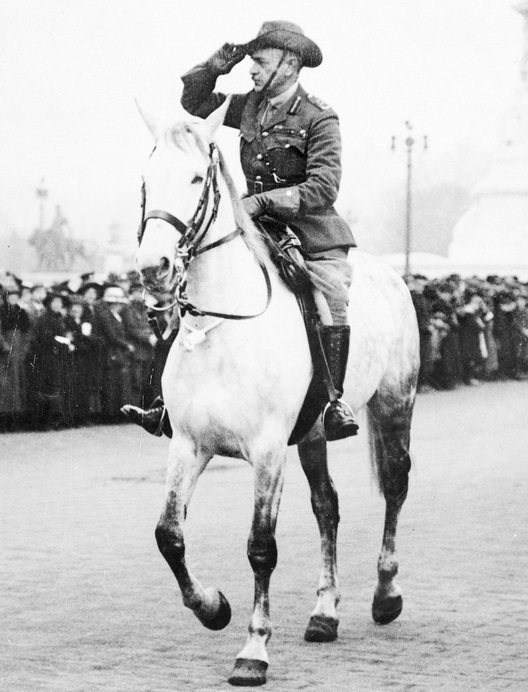 It is obvious that there were many negatives surrounding the relationship between the Aboriginal people and the British around World War I. Aboriginal involvement in the war is important, not only to modern Aboriginal history but also to Australian history. It is important to know that Aboriginal people were there on the battlefield willing to sacrifice themselves for their nation at the time when Australia's national character was said to have been established. 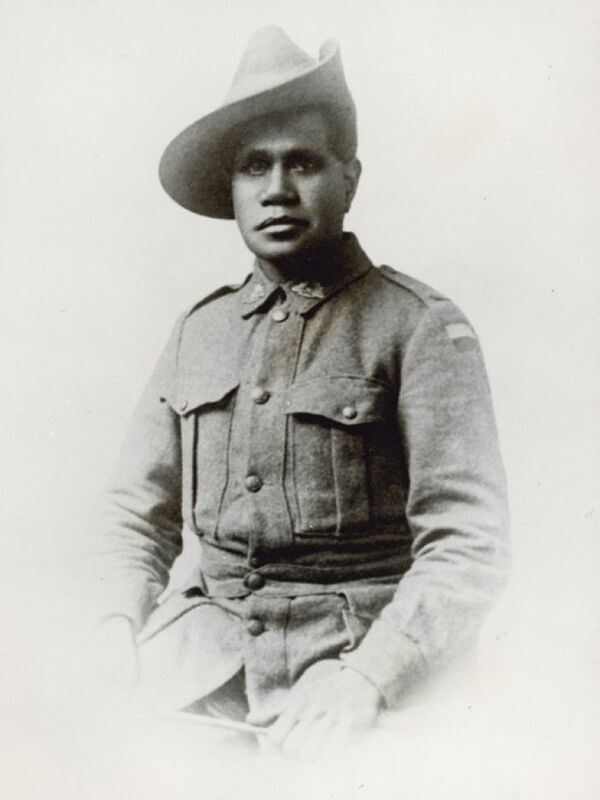 I have attempted to list those Indigenous Servicemen who served with the 9th Infantry Brigade AIF during World War One. This list is not complete nor will it probably ever be, but I have attempted to list as many men as possible as the information comes to hand. 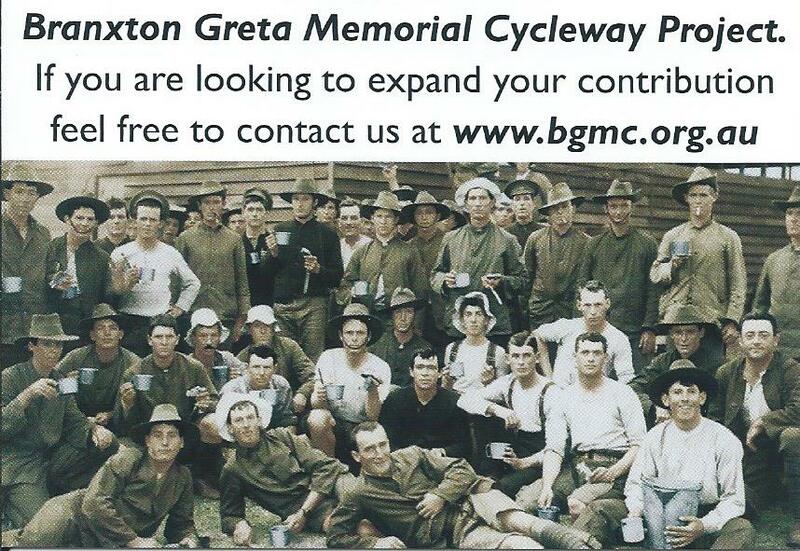 Please forward any additional information on men from the above list or men who I have not recorded as yet to assist me with this project, any assistance is greatly appreciated to honour our Aboriginal Servicemen.